The United States Institute of Medicine has estimated that 98,000 people die each year from preventable medical errors, which equates to the sixth ranked leading cause of death in America. 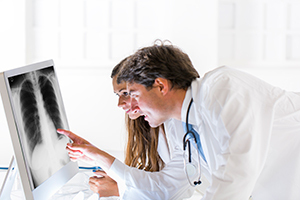 As we can imagine, there are many types of diagnostic errors which can result in serious injuries based upon the deaths that occur every year. There are a great number of medical malpractice lawsuits which result from diagnostic errors each and every year. In the case that a doctors diagnosis error leads to incorrect treatment, delayed treatment, or no treatment, and the patients conditions worsens, posing the risk for death, a medical malpractice lawsuit may be filed. At Harbin & Burnett, our medical malpractice attorneys believe that if you or a loved one has been injured from the negligent actions of a hospital, doctors office, pharmacy, or urgent care center, the victim may be eligible to receive compensation for their losses and damages. To learn more, complete the Free Case Evaluation form to the right. Its that easy. When a person goes to a medical professional in hopes to receive treatment for an injury or illness, they rely on the medical professional to properly diagnose them and do their best to correct these conditions. Unfortunately, this is not always the case and result in diagnostic errors. This occurs when a doctor eventually makes the correct diagnosis, but it occurs after a significant delay. Unfortunately, late diagnosis is one of the more common types of diagnosis error. This occurs when a doctor accurately diagnoses one disease, but fails to diagnose another unrelated second disease. This occurs when a doctor correctly diagnoses one disease, but fails to diagnose a related disease. This related disease may often go hand in hand with the primary condition or has a higher risk of incidence in patients that have the primary disease. This occurs when a doctor makes the correct diagnosis, but fails to identify certain complications or factors which may change or aggravate the illness or condition. This occurs when the doctor gives the patient a clean bill of health when the patient is actually suffering from an illness or disease. This is also known as a misdiagnosis, and occurs when a doctor picks the incorrect illness. An example of this would be when a doctor diagnosis a patient with cancer, when the person is actually cancer-free. While these are the most common types of diagnostic errors, an individual may also be misdiagnosed in the emergency room as well. Often times patients will be misdiagnosed in the emergency room much more than they will be in a doctors office setting. Furthermore, this may mean that the illness or injury has a higher change to result in harm to that individual. When an individual is in an emergency room setting, it is more likely that less common conditions and illnesses will likely escape the correct diagnosis. It is also likely that uncommon conditions in certain patient populations will also go incorrectly diagnosed. As millions of Americans put their faith and trust in the hands of surgeons, doctors, and medical professionals each year, it is common for diagnostic errors to occur. These errors can result in severe pain and suffering, lost wages, depression, increased medical expenses, and other losses and damages. At Harbin & Burnett, our attorneys have been serving the community of Anderson, South Carolina, for several years and are prepared to handle your medical malpractice litigation. Our attorneys also serve the surrounding cities, suburbs, and towns all while operating on a contingency fee basis. This means that we will not get paid unless you get paid. * To learn more, call us at 1-888-821-0247 or complete the Free Case Evaluation form at the top of this page today. This form is completely free to submit and all information entered will remain completely confidential between you and your attorneys.